Are you summer-body ready? 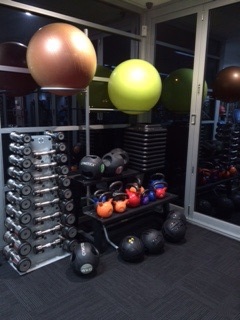 If you are looking to increase your fitness level and join a 24 hour gym, I recommend Good Vibes Fitness in Macquarie Park. They are conveniently located just up from Macquarie Park train station, next to Ribs and Rumps on the corner of Talavera and Lane Cove Roads. 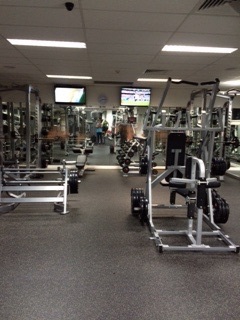 The gym is modern with brand new equipment and a cutting edge security system. It's bright and airy with big glass doors that open to a tennis and basketball court and an amazing 25-meter heated outdoor swimming pool. They also offer boot-camp and boxing classes. 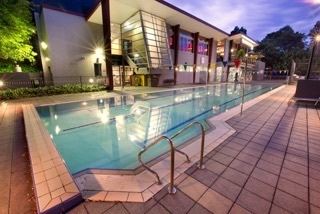 For personal training, Good Vibes has three fitness trainers, plus three swimming instructors and a tennis coach. Father and son team Steve and Mitch Grant run a fun and friendly gym. I spoke to Mitch about why they opened Good Vibes. He readily stated that he has always been active, and post a traumatic accident in which he lost a leg, he wanted something that involved both working for himself and helping others make a difference in their lives. Good Vibes offers an Amputee Program to assist people, who like Mitch, have lost a lower limb. Besides running a busy gym, Mitch is an active motivational speaker on the subject. He has travelled extensively with his orthopaedic surgeon to conferences to talk with doctors, nurses, physiotherapists, prosthetic makers and patients alike. He has also spoken to military personnel, corporations, and children in the 'Boys to Men' program. Other programs that Good Vibes Fitness offers its members include a 12-Week Transformation or a 6-Week Rapid Weight Loss program. Both offer individual training, exercise and nutritional plans along with one on one support. The gym has a good mix of both men and women. 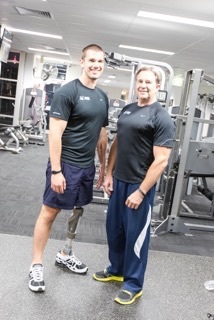 Steve and Mitch are often out on the floor chatting to or working out with their clients. Their doors have been open since 2011 and are considered trendsetters, as 24-hour gyms were a new thing at the time. Their change rooms are spacious, clean and modern. Good Vibes is currently offering a free 7-day trial membership pass. 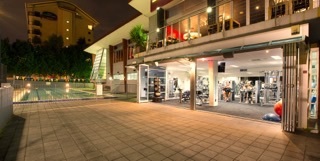 My partner and I are both happy members - you can find us lifting or getting our summer tans on next to the pool.